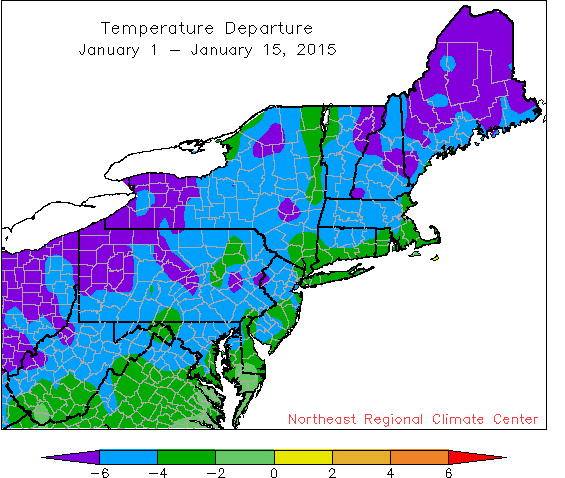 The first half of January has been much colder than normal. 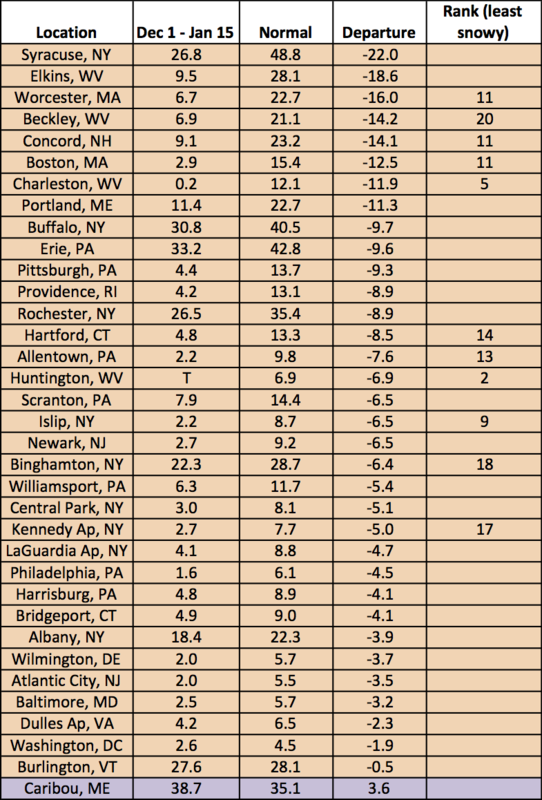 Average temperatures at all 35 Northeast airport climate sites during the first half of January were colder than normal, generally by 2 degrees F or more. The last time all the sites were colder than normal was during spring 2014. 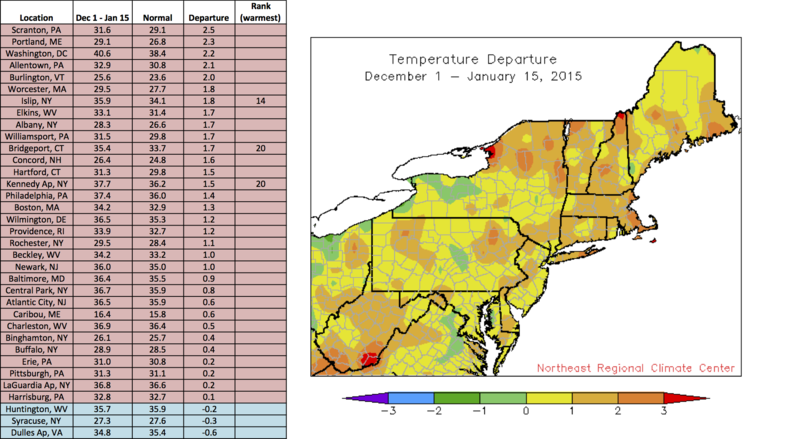 However, due to a warm December, all but three sites were warmer than normal for the first half of winter. 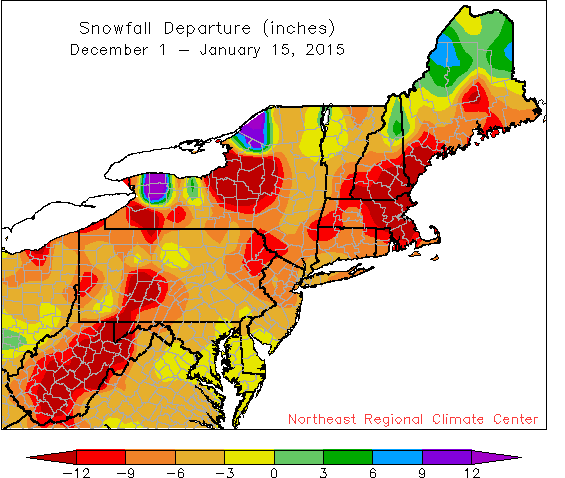 Snowfall has been lacking during the first half of winter. 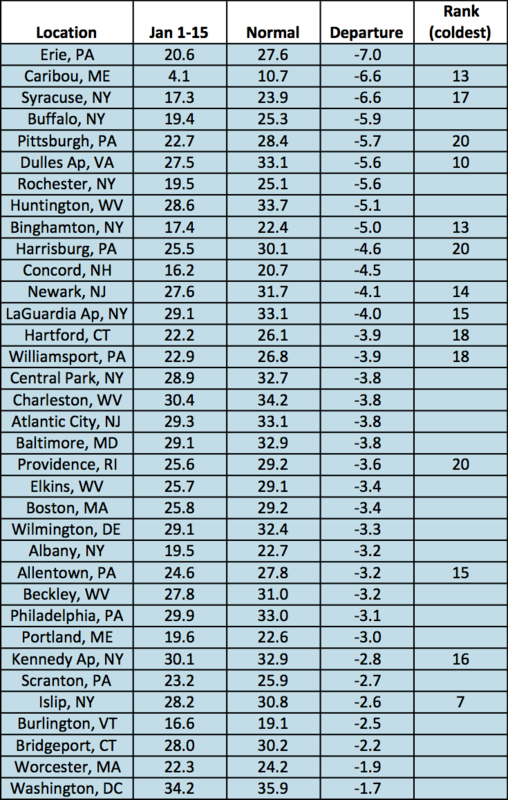 Winter so far has not been particularly snowy, with all but one of the airport climate sites seeing below-normal snowfall. 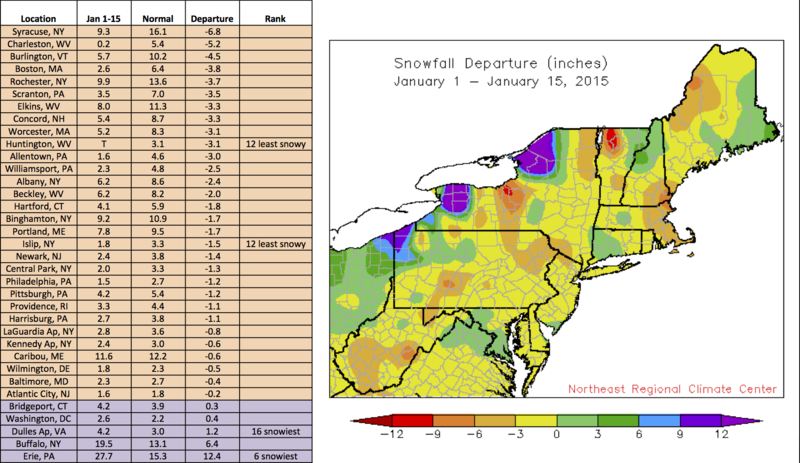 The first two weeks of January have also been less snowy than normal for the majority of the Northeast. Precipitation, though, has been a bit more variable. 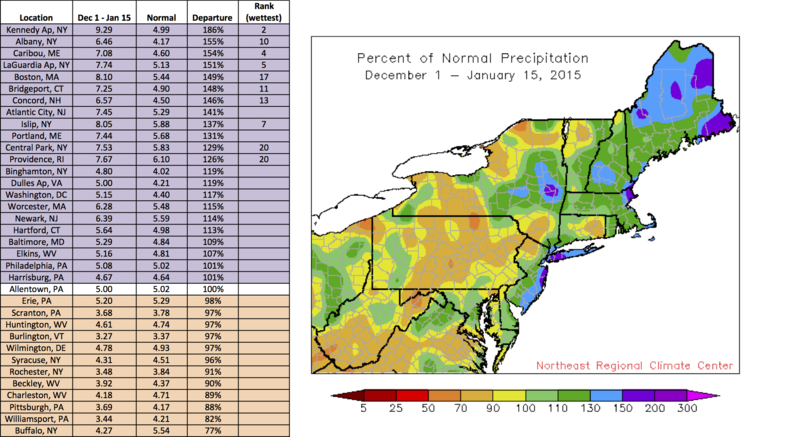 During the first two weeks of January, 19 sites saw below-normal precipitation, but looking back at the first half of winter, 22 sites have seen above-normal precipitation.